Art classes, community theater, and pet adoptions highlight this Valentine’s weekend. Date Night Canvas from 7 to 9 p.m. at the Painting Gypsy Studio, 619 North Mission Street in Sapulpa. This is a step-by-step instructor-led painting class. The cost is $50 per couple. For more information, visit the Facebook page here. You Can’t Get There from Here at the Sapulpa Community Theatre from 7:30 to 9:30 p.m., 124 South Water Street. Rumor has it the little old ladies who own the Mavis Garner Bed & Breakfast get their customers from cars damaged by a pothole on Main Street. When dirt-sheet reporter Arthur Lyman seeks to expose them, he finds more than he bargained for in this hilarious screwball comedy. Show Dates: Feb 15-17, 22-24, 2019. Directed by Sherry Whisman. For more information and to purchase tickets visit the Facebook page here. Saturday Bowling Youth Leagues at 10:30 a.m. for 12 weeks beginning January 19 at Sahoma Lanes, 1499 North 9th Street, Sapulpa. Only $8 per week. Three member open teams, 1st-6th and 7th-12th grade teams. Earn points toward scholarship money by games bowled in leagues and tournaments! For more information call 918-224-BOWL or visit the Facebook page here. Pet Adoptions at the Sapulpa Shelter from 12 to 3 p.m. at 515 East Fife Avenue. Come out to the Sapulpa Animal Shelter this Saturday and let a shelter pet rescue you! They will also have Sapulpa Furry Friends T-shirts for sale. All proceeds benefit Sapulpa Furry Friends. Also, anyone who adopts Saturday has an option to microchip your new furry for $15. For more information visit the Facebook page here. Kids Unicorn Poop Canvas from 4 to 5 p.m. at the Painting Gypsy Studio, 619 North Mission Street in Sapulpa. This is a step-by-step instructor-led painting class. For $15 per child you get an 8×10 canvas with outline. Ages 6-10. For more information visit the Facebook page here. Spaghetti Dinner Fundraiser for Sapulpa Blue Crush 8U from 6 to 8:30 p.m. at the Sapulpa Senior Citizens Center, 515 East Dewey Avenue. The cost is $8 for adults and $5 for kids 8 & under. The meal includes salad, spaghetti, bread and dessert. Tickets for door prizes will be sold at the door. 50/25/25 tickets will be sold as well. For more information please visit the Facebook page here. Cosmic Bowl from 10 p.m. to midnight at Sahoma Lanes, 1499 North 9th Street in Sapulpa. Black lights, music, glowing pins, $60 per lane or $12 per person. 2 hours of bowling; includes shoes. For reservations call 918-224-BOWL or visit the Facebook page here. 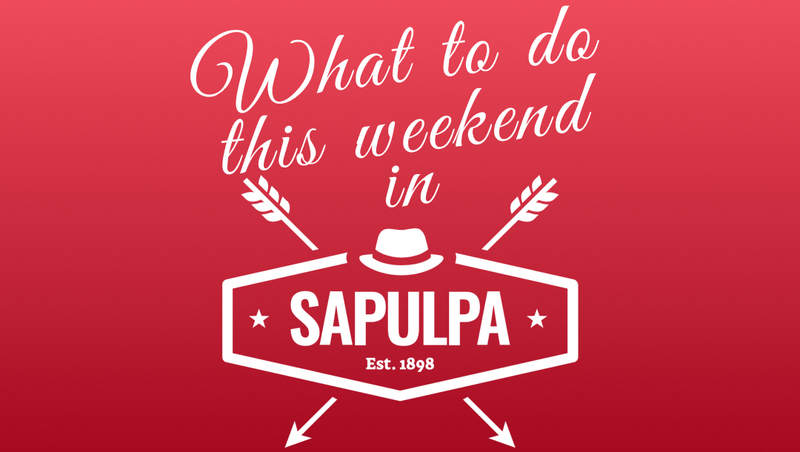 You Can’t Get There from Here at the Sapulpa Community Theatre from 2 to 4 p.m., 124 South Water Street. Rumor has it the little old ladies who own the Mavis Garner Bed & Breakfast get their customers from cars damaged by a pothole on Main Street. When dirt-sheet reporter Arthur Lyman seeks to expose them, he finds more than he bargained for in this hilarious screwball comedy. Show Dates: Feb 15-17, 22-24, 2019. Directed by Sherry Whisman. For more information and to purchase tickets visit the Facebook page here. Central Tech Annual Open House from 1 to 4 p.m. at the Drumright campus, 3 Court Circle. With over 70 activities happening at their Sapulpa and Drumright Campuses including FREE health fairs, car shows, and virtual and augmented reality simulations, you won’t want to miss this event for the entire family! Food will also be available for purchase. For more information please visit the Facebook page here.